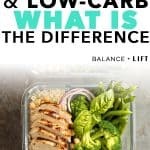 Keto and Low-Carb: What’s the Difference? Keto and Low-Carb are actually different things. I didn't realize that at first when I was doing my research. Mainly because I would come across posts that labeled a recipe as both low-carb and keto. So, I thought they were the same! 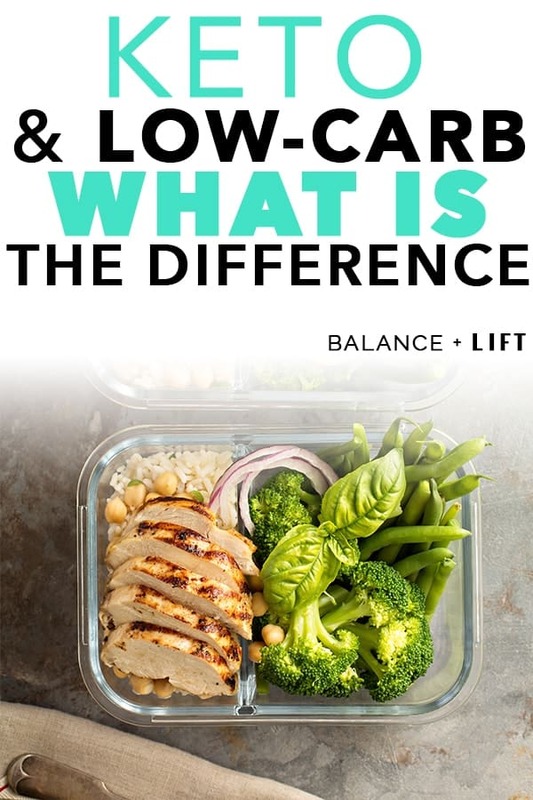 But, I was wrong in that assumption and there is a difference between keto and low-carb. I'm still not entirely sure how much of a difference there is, but I know that keto is way more strict in rules than low-carb. I do know that it's easy to transition from low-carb to full blown keto. That's why I wanted to explore it in more detail here. Is the Low-Carb Diet Bad? Why Is Keto Better for Our Bodies? How to Transition From Low-Carb to Keto? When someone starts a low-carb diet their overall goal is to drop your carb levels to lower than what is typical. But, if you ask around there isn't a set number of carbs you should restrict to when you eat low-carb. It's just where you aim to cut your carbs down. But, when you cut your carbs down you have to up your calories somewhere else and typically people up their protein section. This isn't always great. 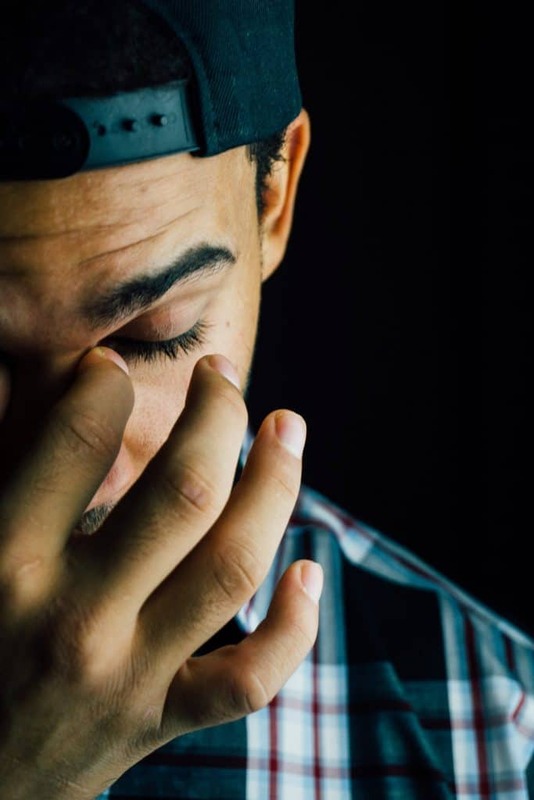 All the side effects you'll experience from the keto flu will likely be what you experience here. If your fat intake is still low, you've cut your carbs low and upped your protein levels you'll likely start something called gluconeogenesis. This is where the body turns to protein to find glycogen. This is something that people on a keto diet try to avoid. Read more about gluconeogenesis here. If you're eating too much protein it will stall your body from ever going into ketosis, or at least it will make it harder. Does this mean low-carb diets are bad? No, not inherently. They can be a great “foot in the door” for switching to a ketogenic diet. You're already cutting your carb levels, so the next step is to up your fat intake. But, a lot of times people aren't eating enough calories or they'll eat too much protein. If you're not eating enough calories then your body will suffer. Don't worry though, lowering your protein intake won't make you wither away! Amazingly enough, you don't need gobs and gobs of protein for your body to build muscle. You can do so with the proper amount of protein for your activity level. The best way to figure this out is a keto calculator like the Keto Diet App's KetoDiet Buddy. You can figure out your exact ratios based on your goals. Whether your goal is weight loss, weight gain or maintenance. Pretty much like every other calculator, but geared towards the keto diet! The ketogenic diet, known as keto diet, is one where someone restricts their carb intake to 20-30g net carbs (or if you're in the more strict camp they calculate that as all carbs). With restricting your carbs so low, you, in turn, need to up your fat intake a good bit to fuel your body. When you restrict your carb intake so low, your body will deplete it's glycogen stores and turn to the fat source. It turns the fat source into ketones and that's what your body uses to run itself. The ketones are the key here. Once your body produces ketones anywhere from 0.5mmol/L to 3.0mmol/L you're in a state of ketosis. You can test for this either on a blood meter or with ketone strips. You're aiming to get into ketosis because this is where all of the benefits are at. You'll start to feel more energized, clear-headed, your blood sugar will stabilize and if your goal is to lose weight you can do that too! By restricting yourself to just low-carb and not increasing your fat intake your body can't reach a state of ketosis. So, you're putting your body in a state of starvation without replacing the fuel unless you're upping your protein intake. If you are eating more protein then you're feeding your body glucose via gluconeogenesis, but you'll likely feel like crap. Your body is trying to find a way to run itself, but without eating fat for the body to use ketones for energy it will start eating your muscles if your protein intake isn't super high. Also, you'll likely feel like complete crap. Headaches, blood sugar inconsistencies, cravings for everything, water retention, and so much else. You'll have keto flu for a long time in this state. By upping your fat intake you're helping your body to get into a state of ketosis. It will be able to swap over to ketones for fuel more easily than if you were low-carb. Being in ketosis has so many benefits that unlock once you're efficiently using ketones for fuel. You'll have consistent energy, clear thinking, balanced blood sugar, weight management, hormone balancing, and many other things. Since there is a difference between low-carb and keto, a lot of times people that eat low-carb will find their way over to eating more keto. They hear stories about the energy spikes and clear thinking and just overall feeling like a super person and it gets intriguing. So much so that they start researching keto and realize that all they have to do is increase their fat intake to replace their carb decrease. It will help you understand just exactly how much you need to eat on a daily basis. Once you know how much fat, protein, and carbs you need to eat you can create your meal plan for the week or however long you need. Low-Carb is decreasing your carb intake either really low or lower in comparison to everything else. Likely, you're restricting your calories too low. And, it's super unsustainable. By going keto, you're eliminating all the hard work you'll have to put in to even be happy with your diet choice. Eventually, your hunger will be controllable, you won't get hangry, you'll be able to have consistent energy, wake up refreshed and overall feel great. Can you achieve this some other way? I'm sure, but I know that, personally, keto is the way for me. Give it a shot and I'm sure after you're over the keto flu you'll figure out quick that keto is for you too!